Crawl crawl little catepillar. 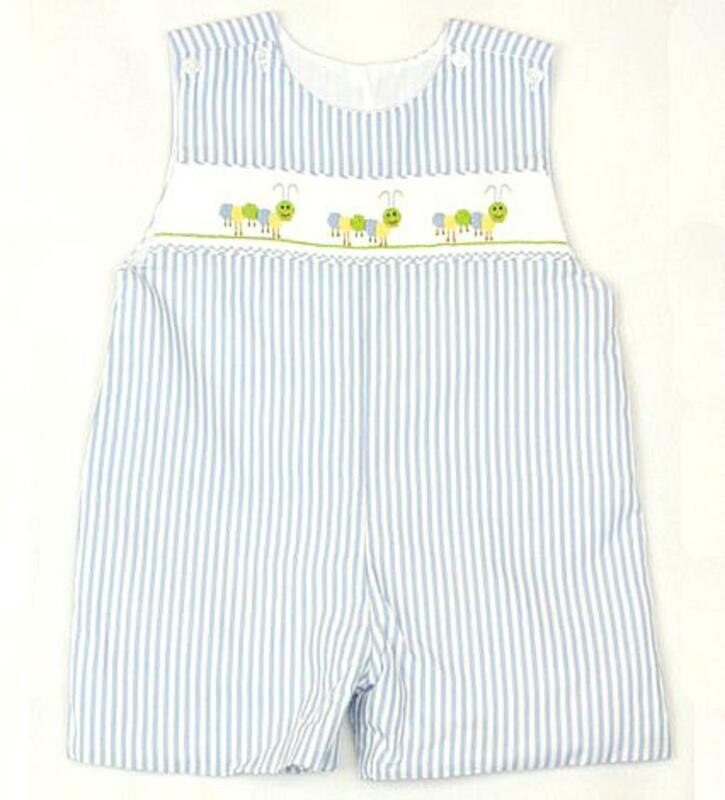 The blue and white wide striped romper is perfect for moving little babies. There is three yellow, green, and blue catepillars hand smocked on the chest. There is two buttons on each shoulder and snaps along the inside of the legs to accomodate diaper changes. 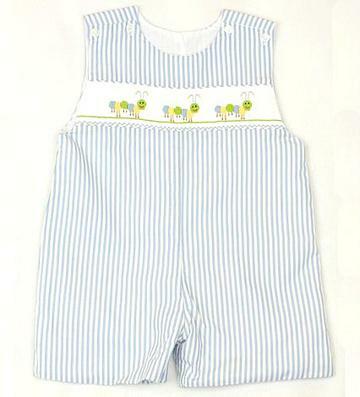 This super soft romper is 55% cotton and 45% polyester.